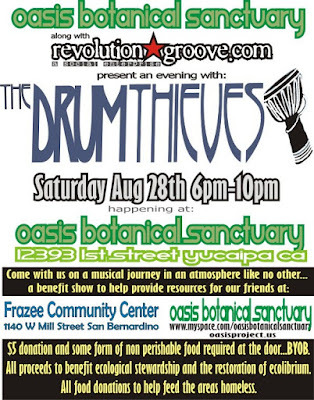 Come join us on a musical journey as Doug Woods, Tom Cords and Adrian Gomez....otherwise known as The Drum Thieves take the stage at Oasis Botanical Sanctuary for an evening of Giving. 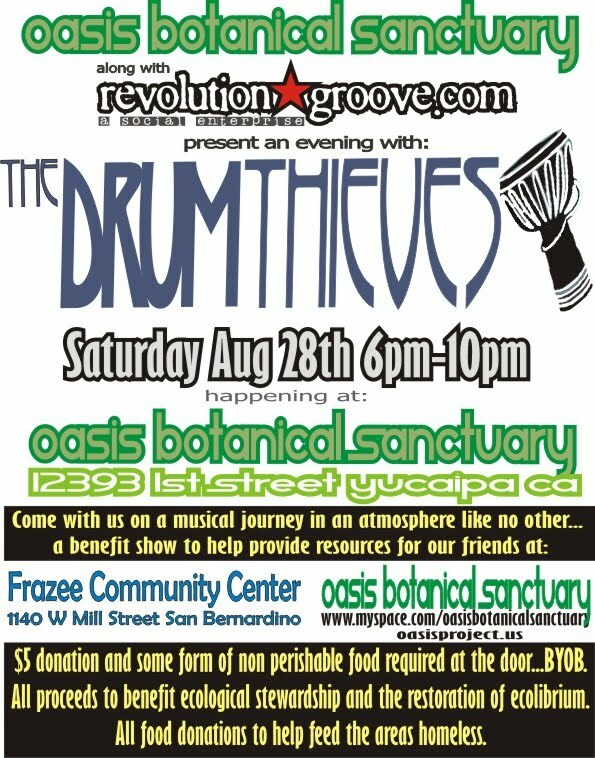 Revolution Groove will be complimenting the band as we come together to HELP provide needed resources for 2 local charities. The Oasis Botanical Gardens is a non profit organization providing necessary help to endangered species of flora and fauna and restoring ecolibrium to the area! This is easily the coolest spot you've never been too! The Frazee Community Center provides the areas homeless with food and resources! Make it a "Night of Giving" and come enjoy some old friends and some good times! Look forward to seeing you there!